Clinging to the rock face of a stunning 500ft sea cliff, The Spa defies both convention and gravity. With liquid floors, wall-less rooms and sensuous curves, its lightness of being seduces and liberates the senses. The spa’s innovative design may break new ground, but the soul of The Spa is as old as Bali itself. The Spa offers quintessential Balinese spa experiences inspired by the four basic elements of the daily Balinese temple offerings; sincere devotion, sacred flowers, holy water and life-sustaining rice. 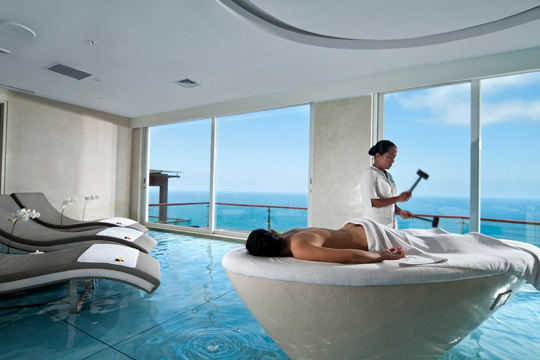 The Spa features wet and dry treatment areas, private steam coves and unobstructed views of the Indian Ocean. 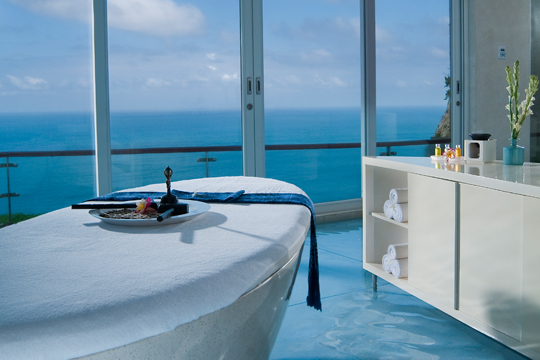 A selection of in-villa baths and treatments can also be arranged. 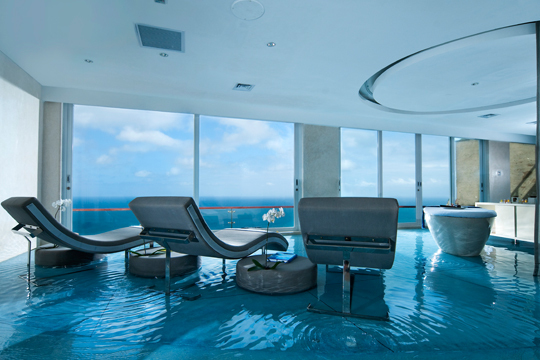 Awarded 2010’s Most Innovative Spa of the Year by Asia Spa Magazine.